Located just south of the world-famous Phangnga Bay in southern Thailand, and home of the incomparable Phi Phi Islands, is the province of Krabi, which offers some of the most spectacular scenery available anywhere in the world. In a region reputed for its world-class beaches, the beaches of Krabi stand second to none in terms of natural beauty, and offer the weary traveler a surprisingly pristine and remarkably relaxing refuge from the bustle of most resort areas. Although markedly less developed than resorts areas like Phuket, and Pattaya, Krabi nonetheless offers a comparably wide range of services, facilities, and recreational activities. In addition Krabi also has something to offer travelers that the bigger resorts are becoming increasingly unable to provide: some peace and quiet. 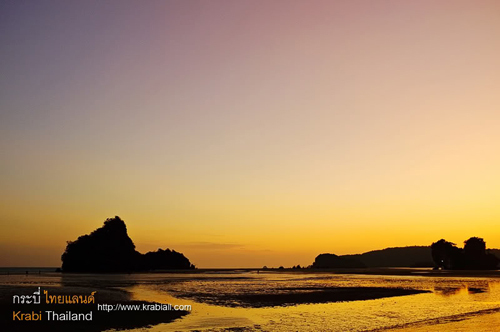 So, whether you are looking for a bustling, activity-filled holiday, or just a devastatingly beautiful section of desolate beach to call your own, Krabi is the place to go in the region. The Phi Phi Islands are by far the main attraction to Krabi, and are widely considered to be amongst the most beautiful places in the world. There are six islands altogether: Phi Phi Don, Phi Phi Le, Bida Nok, Bida Nai, Yung, and Phai; each of which offers some of the most unique topography on this planet. Of these six islands Phi Phi Don and Phi Phi Le are the largest, and most well known. Phi Phi Don: This is the largest of the Phi Phi islands, and offers some of the most arresting scenery available anywhere in the world. Phi Phi Don is comprised of two main sections, peculiarly connected by narrow strip of glittering white sand. It was here, in the center, where the first settlement of Ton Sai was established. Since that time Phi Phi Don has earned a reputation as one of the most alluring sights in the region, offering spectacular beaches, gleaming, turquoise seas, and remarkable landscapes. This reputation, however, has not come without a cost. In recent years Phi Phi Don has experienced a tremendous amount of growth, and is no longer the pristine island that it was just ten years ago. This is not to say, however, that there is no longer anything to see on Phi Phi Don. Regardless of the commercial expansion, Phi Phi Don still remains one of the most magnificent places in the region. The upside to the recent development of Phi Phi Don is that it is now able to offer a more complete range of services. A virtually unlimited number of recreational activities are now offered for the tourist and the traveler. The area surrounding Phi Phi Don is home to large sections of coral, and a wide variety of marine wildlife, making it a first-class diving and snorkeling site. There are several dive shops that offer instructional courses and guided dives in the neighboring areas. In addition, the towering limestone cliffs, with their sheer faces and imposing overhangs, make the area world-famous for rock-climbing. Rentals and lessons can be arranged through many of the hotels and guesthouses. Phi Phi Don also offers some very good game-fishing, and sea kayaks are obtainable for a reasonable fee. Phi Phi Don can be reached by boat from the Chao Fah Bridge in Krabi, for about 150 baht. The trip typically takes about 2 hours. 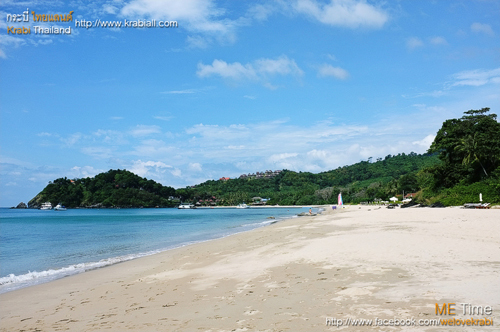 Hat Yao: This beach, also known as Long Beach, is one of the most famous on the island. Not only does it offer a broad, sweeping beach and unbelievable scenery, it also is home to some of the best coral reefs in the area. Snorkeling and scuba diving top the long list of things to do here, and accommodation is plentiful. The only complaint might be a little too much development. Hat Yao can be reached on foot or by longtail boat from the pier at Ton Sai. Hat Lanti: This beach is in close proximity to Hat Yao, and is equal to it in nearly all respects. Once underdeveloped, Hat Lanti has only recently given way to commercialism, and remains quite beautiful. Offshore coral reefs provide for some great snorkeling, and accommodation is cheap and decent. Hat Lanti is accessible on foot via the viewpoint trail. Boats to Hat Lanti are difficult to find, because bungalow owners refuse to pay commissions, but boats can be arranged from Hat Lanti quite easily. Hat Hin Khom: This beach is one of the more unremarkable on Phi Phi Don, and has recently fallen prey to over-development and lack of maintenance. Hat Hin Khao: This is one of the more isolated beaches on Phi Phi Don, accessible only on foot. This beach offers good views, peace and quiet. 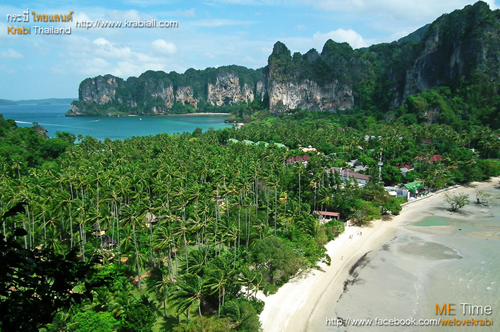 Ton Sai: This is the oldest beach area on Phi Phi Don, and the most congested and developed. Still, Ton Sai offers some rather good views of the surrounding territory, and although lacking beauty, it is the most accessible and convenient place on the island. Hat Laem Tong: This is one of the nicest beaches on Phi Phi Don, offering spectacular views, and a nice stretch of marvelous beach. Hat Laem Tong has its own pier, and therefore is accessible, however, it is targeted at the high-budget tourist. Phi Phi Le: The second largest of the Phi Phi Island chain, Phi Phi Le is extremely beautiful, and pristine. Day trips to Phi Phi Le are available, and one of the biggest attractions is Phaya Naak Cave, or Viking Cave, which has some bonafide prehistoric carvings. Another attraction to Phi Phi Le are the nests of the edible-nest swiftlet, which fetch up to US $2000.00 per kilogram. Armed guards stand watch over these nests, and to protect from poaching, overnight stays on Phi Phi Le are forbidden. Another attraction to Phi Phi Le is the abundance of coral reefs, which makes for some extraordinary scuba diving and snorkeling. Recently, the motion picture The Beach, starring Leonardo DiCaprio, was filmed on Phi Phi Le, giving viewers a mere glimpse of the truly breathtaking scenery this island has to offer. Yung Island (Mosquito Island): This small island in the Phi Phi chain is a few km north of Phi Phi Don, and has two small beach areas. Much like Phi Phi Don, and Phi Phi Le, Yung Island offers visitors some fabulous scenery, both underwater and above. Day trips are available to Yung Island from Phi Phi Don, and feature some brilliant views of pristine coral fields. Phai Island: This is another small, deserted island in the Phi Phi chain that can be visited during the day by boat. Phai Island offers some tremendously attractive scenery, and also has exceptional coral specimens. However, like Yung Island, this pristine island is uninhabited, and has no accommodations. Hat Pranang is a long, beautiful stretch of beach, located just south of Hat Noppharat Thara. This stretch of beach is rapidly developing, however, it still remains quite stunning. In addition to the broad, white-sand beach, Hat Pranang has clean, clear water and a backdrop of striking limestone islands and cliffs. There are a total of 83 small islands in the bay, and they can be explored by boat trips arranged by many of the guesthouses. Unlike Hat Noppharat Thara, Hat Pranang is a full service beach offering a wide variety of recreational water sports. This entire area offers excellent scuba diving, with both reefs and a wide variety of marine wildlife. In addition, in recent years this area has become famous for its top-notch rock climbing. It is estimated that nearly 300 climbers visit the area everyday to take on the sheer limestone faces and difficult overhangs of the surrounding mountains and mountain islands. This wide range of activities, coupled with good food and plentiful, affordable accommodations have made Hat Pranang the most popular mainland beach in Krabi. 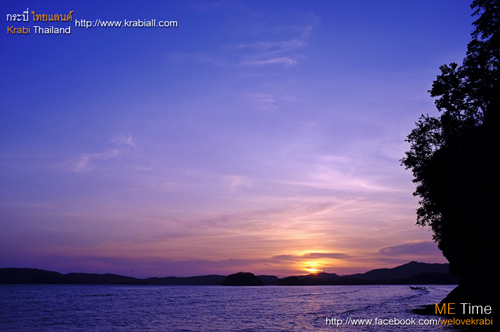 Hat Pranang is very accessible by road, and transportation can be found in the town of Krabi. Songthaews costing 30 baht leave every 15 minutes from Phattana Road, near the New Hotel. This island is located at the edge of the Than Bokkhorani National Park, and is accessible via boat from Ao Pranang. The trip takes about an hour, but is well worth it, as Hong Island is home to a beautiful sandy beach, and some wonderful deep and shallow water coral deposits. In addition, Hong Island has several caves, which are home to the edible-nest swiftlet, whose nests are valued at over US $2000.00 per kg. Although less scenic than some other areas in the province, Lanta Island is perhaps the most idyllic area available in Krabi. While lacking the towering karsts, Lanta Island offers travelers something that is growing increasingly difficult to find on Phi Phi or Pranang: peace and quiet. With over 19 pristine, tree-lined beaches, remarkably friendly residents, and inexpensive accommodations, Lanta Island is the perfect place to go for a serene, relaxing vacation. A section of the southern portion of the island was recently made into a national marine park, and further south is a large community of sea gypsies. Passenger boats to Lanta Island cost 150 baht, and can be taken from the Chao Fah pier. Lanta Island can also be reached by a combination of minibus/ferry. Minibuses to Bo Muang leave from in front of the TAT sub-office in Krabi, and cost 40 baht. Ferries from Bo Muang to Lanta Island leave at 12:30 and 2:00 PM, for another 40 baht. Ferries can also be taken to the new port at Saladan, which is more developed, for 50 baht. This ferry leaves Bo Muang at 1:30 PM. Klong Dao: This beach is the most populous of those offered on Lanta, with several bungalows at very reasonable prices. Located 2 km from the Saladan pier, this beach offers visitors clean, sparkling sand, tepid, translucent waters, and excellent views of the surrounding areas. Recreational activities are limited, but there is plenty of sand and sun to go around, making this a wonderfully relaxing and stress-free vacation spot. Phra Ae: At the northern end of Lanta Island, this beach is known for its fine sand and quickly shelving coastline. Accommodations at Phra Ae are extremely affordable, and the food is sumptious. Like most of the beaches on Lanta Island, recreational activities are few and far between. Klong Koang: This beach, 2 km south of Phra Ae, is extremely peaceful, and has excellent accommodation at basement prices. Although the food is not quite as good as at Phra Ae, the beaches are isolated, tranquil and serene. Klong Nin: Like nearly all the beaches on Lanta, Klong Nin is isolated and quiet. Fine, sandy beaches are essentially all one will encounter here, and the accommodations are adequate. Again, this is not the place to go if you want to go jet-skiing or para-sailing, but perfect if you want to read a book on a beautiful beach. Kantiang: Towards the southern tip of the island, Kantiang beach is one of the most beautiful on Lanta Island. Although accommodations are extremely average, the sparkling sands and iridescent aquamarine waters more than compensate. There is also excellent snorkeling available in the surrounding area. Klong Jark: This is the southernmost beach on Lanta, and although rather average by most standards, the proximity to completely deserted Mai Phai beach, and the national park make this a good place to stay. Also, there is a small waterfall and a lagoon nearby. Eighteen km to the northwest of Krabi, this beach boasts some of the most spectacular scenery in the world. The name Hat Noppharat Thara is Pali-Sanskrit for Beach of the Nine Gemmed Stream, and was given to the area by Field Marshall Sarit who was impressed by its sheer beauty. In days gone by, this area was a haven for pirates, who used the abundance of islands and caves for cover. However, today it is widely reputed as one of the most scenic coastal areas anywhere. 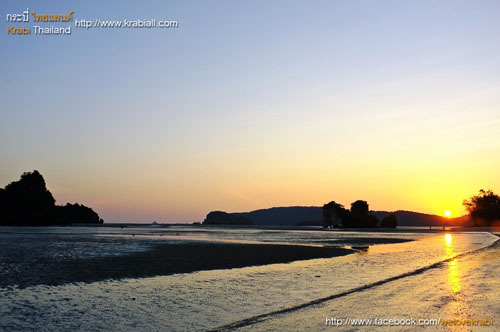 Essentially a continuation of the marine karst topography of the incomparable Phangnga Bay, Hat Noppharat Thara is a two km stretch of beautiful, white-sand beach, with calm, clear seas spotted by rocky, limestone islands. Many of these coastal islands are within half a km of the beach, and are accessible by foot during low tide. As a result of its stunning environs, this beach is one of the favorites among Thais, and construction has recently begun on a new royal residence. Although some of the surrounding beaches have given way to development, Hat Noppharat Thara remains protected by its status as a part of the Hat Noppharat Thara National Marine Park. As a result, facilities at Hat Noppharat Thara are very limited, but there is a visitor center with restrooms, and maps of the area. Transportation from Krabi to Hat Noppharat Thara is readily available in many forms. Songthaews are available every fifteen minutes from Maharat Road, Soi 6. This service usually stops around 6:00 PM in the high season, and 4:00 PM in the low season. In addition, boats are available from the tourist pier in Krabi for a fee of 20 baht, and during the high season from Hat Pranang, for a fee of 10 baht. This secluded beach is one of the most popular destinations for travelers in Thailand. Accessible only by boat, this sweeping beach offers fine-grained white sand and crystalline waters, as well as magnificent jagged karsts. Although visitors flock to this beach year-round, it is still extremely pristine, and considered to be the most attractive in the area. The Inner and Outer Pranang Caves, and Pranang Lagoon are closely situated, and offer some truly spectacular views. Accommodation is available over a wide price range, and the food is excellent. Despite the fact that it is reachable only by boat, this area offers a plethora of recreational activities. The area possesses some of the best scuba-diving sites in the world, with certified instruction courses offered on site. In addition, some of the most sought after rock-climbing sites are found in the vicinity, making it a perfect area for a truly complete vacation. Hat Tham Pranang can be reached from town via longtail boat from the Chao Fah jetty for a fee of 40 baht, and also from Hat Pranang, and the Phi Phi Islands. These trips cost 20 baht and 150 baht respectively. This beach is generally divided into two sections, East Hat Rai Le and West Hat Rai Le. Of these two, West Hat Rai Le offers visitors more traditional beach scenery. The bay is rather pretty, and there is a broad sandy beach and clean, clear water. Although it has less to offer in the way of facilities, and has a more limited variety of recreational activities than Ao Nang, West Hat Rai Le is quieter and more peaceful. Across the peninsula from West Hat Rai Le is East Hat Rai Le, which varies from the other beaches in the area in that it could actually be classified as a mud flat, especially during low tide. Even so, it does offer some rather remarkable views. One end of the beach is covered with mangrove trees, and good views of mountains and islands are available. As for sandy beaches, East Hat Rai Le has relatively little to offer, but is within walking distance of both West Hat Rai Le, and Hat Tham Phranang, which offer some of the best beaches anywhere. Both East and West Hat Rai Le can be reached by boats from Krabi's Chao Fah Bridge. These boats cost 50 baht per person, and typically take about 45 minutes. However, outside of the months between November and April, these boats usually do not go all the way around to West Hat Rai Le, because of unfavorable sea conditions. During this period, you must get off the boat at East Hat Rai Le, and then walk to your final destination.